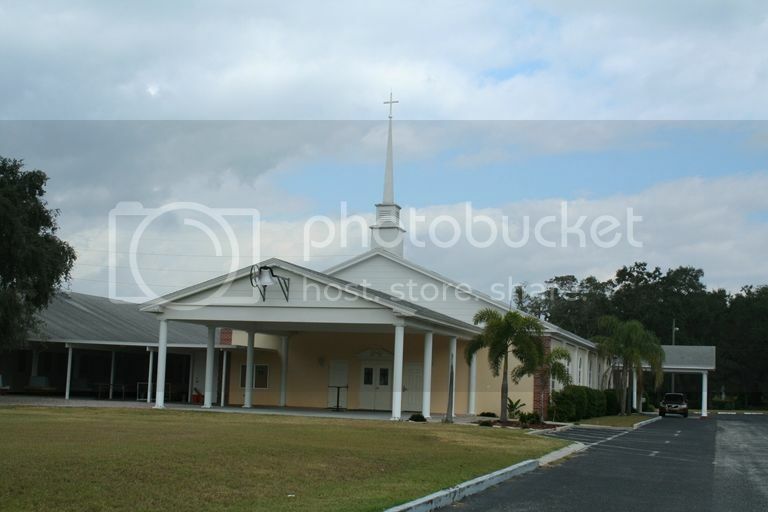 The site is the former home of Sunset Point Baptist Church, Sunset Point Christian School, and New Beginnings Community Church. 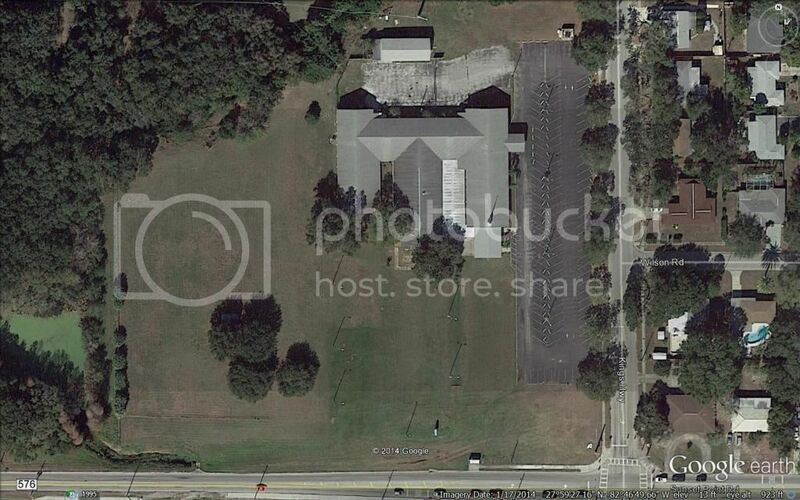 This is a photo from Google Earth of the site. 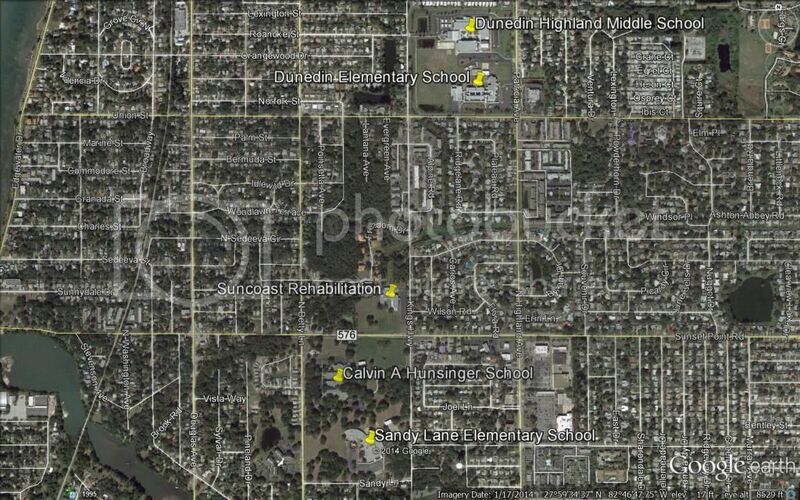 The site is close to four schools. 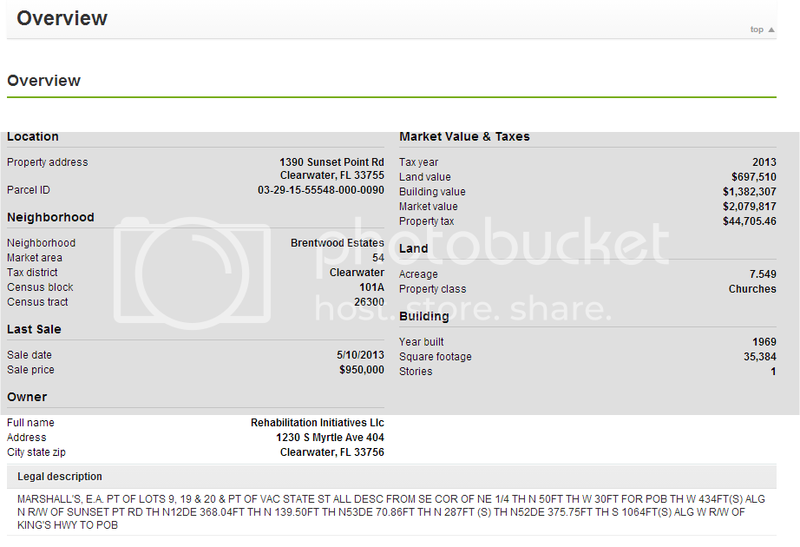 The property was in foreclosure when it was purchased on May 10, 2013 for $950,000 by Rehabilitation Initiatives LLC, 1230 S. Myrtle Ave in Clearwater. The director of Rehabilitation Initiatives is Sean Strickling, who is a former director of Narconon Spring Hill and currently a director of Novus Medical Detox in New Port Richey, FL. The address of Rehabilitation Initiatives is also the offices of Narconon Spring Hill, Toucan Partners LLC, Feshbach Investments, Falcon Research, Carez Corporation, and Addiction Help Services. This chart from CorporationsWiki shows the relationships between these companies. The chart doesn't show that Sean Strickling is the CFO of Toucan Partners, which is the property owner of the Narconon Spring Hill facility. Narconon Spring Hill offices are listed as 1390 Sunset Point Road on a number of web sites. http://www.superpages.com/bp/Clearwater-FL/Narconon-Spring-Hill-Inc-L2496245368.htm Also, the web page for Suncoast Drug Rehabilitation shows that Narconon Spring Hill and Suncoast Drug Rehabilitation are the same thing: "Copyright © 2008-2014 Narconon Spring Hill, Inc. DBA Suncoast Rehabilitation Center." So this facility will be operated by Narconon Spring Hill, but is it the new Narconon facility, or is it a half-way house for patients from either Novus Detox or Narconon Spring Hill? 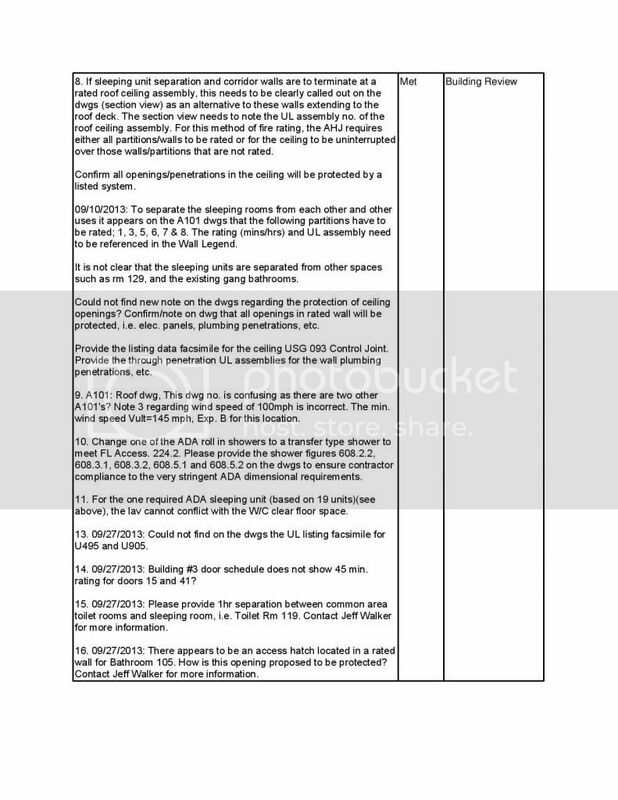 This is the first page in the City of Clearwater's file for the project. "Interior build-out of 2 existing connected buildings as a drug rehabilitation center"
It was suggested that this couldn't be a Narconon because the site lacks saunas. There are to be 19 sleeping rooms in the facility, of sufficient size to house 60 patients. The patients will be provided with "gang bathrooms." Also, to provide security for the site, and perhaps for the surrounding schools, there is provision for a "6 foot perimeter wall ... and entry gate." There is currently no license from the Department of Children and Families to operate a Drug Rehab program at this location, nor has one been applied for. 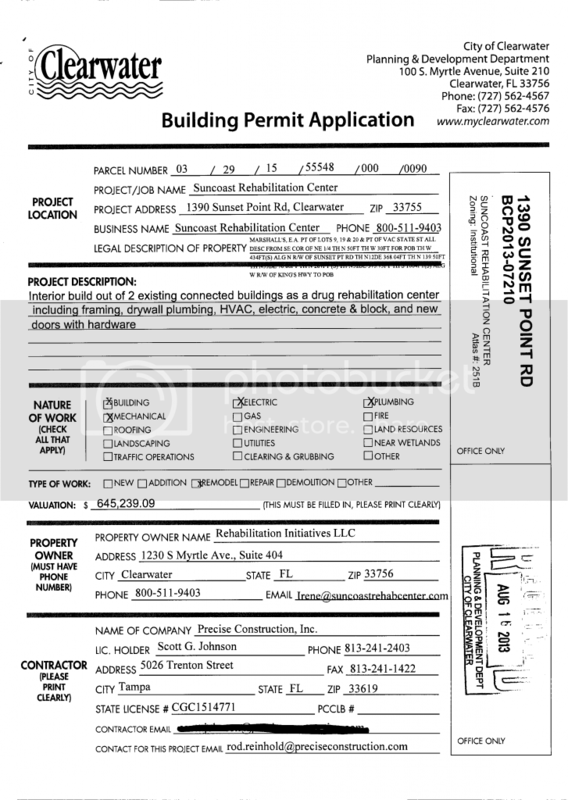 They can apply once the construction is complete, and they have a Certificate of Occupancy or a Certificate of Completion. The state would then have 30 days to determine if the application meets the state minimum requirments, or not. Excellent information. Here's the business registration. 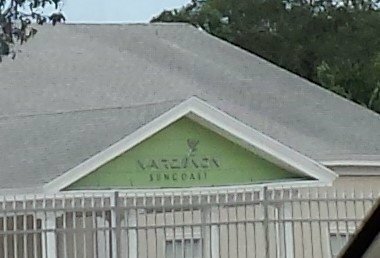 New Narconon getting ready to open in Clearwater. This is the one that used to be in Spring Hill and sued the city over expansion. Compared to that facility, this new place is Buckingham Palace. The fence is newer than May 2014 in Streetview. They've done some shifting of their agent and manager in their Florida listing. The current manager is Glen Stilo, FSO Legal. Did he muster out of the Sea Org for this? Narconon Spring Hill Inc becomes Suncoast Rehabilitation Center, Inc. and now becomes Narconon Suncoast, Inc. The bolded ^^^ facility was never their legal name and they never filed for that corporate name because it was used by another company for many years. They have always been Narconon Spring Hill, Inc dba Suncoast Rehabilitation Center and now changed the Narconon Spring Hill, Inc corporation name to Narconon Suncoast, Inc. 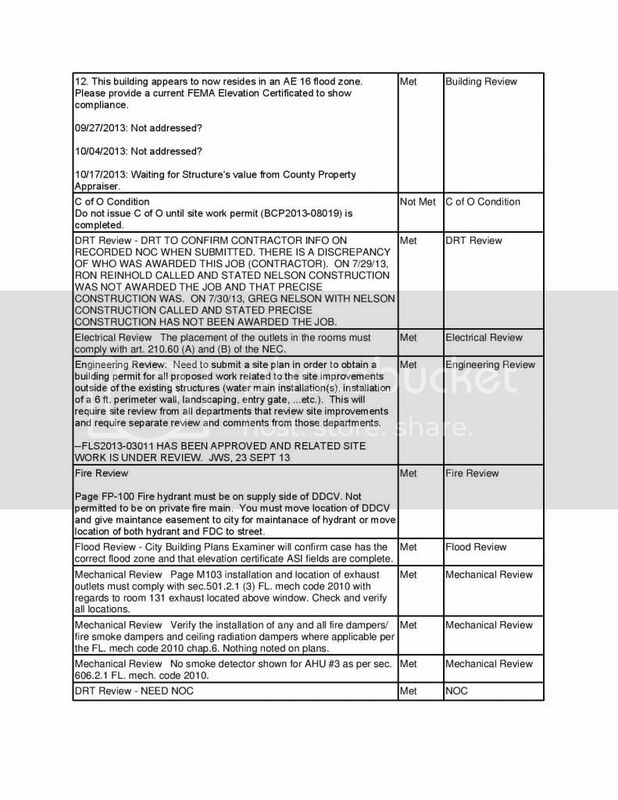 They filed an amended change form for the owner of the fictitious name as well to Narconon Suncoast, Inc.
BTW, Rod, thanks for collecting all this documentation. Much appreciated. The previous Suncoast Rehabilitation Center was formed in 1998, dissolved in 2000. 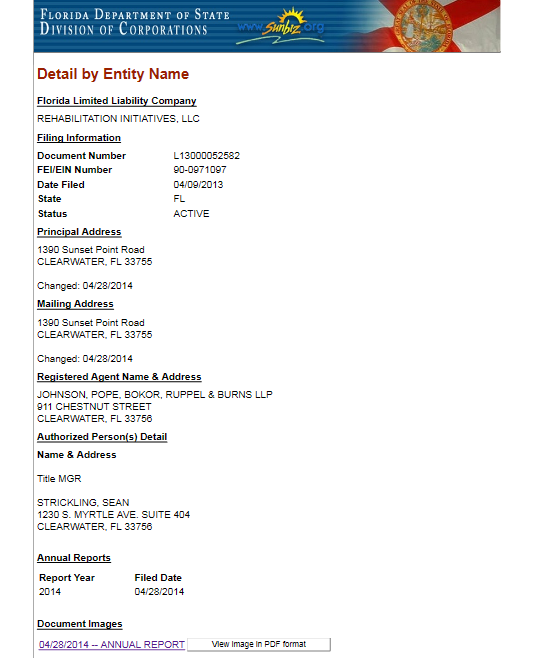 Narconon Spring Hill, Inc filed a name change 01/29/2015 to Suncoast Rehabilitation Center, Inc.
Then they filed another name change 08/05/2015 to Narconon Suncoast, Inc. 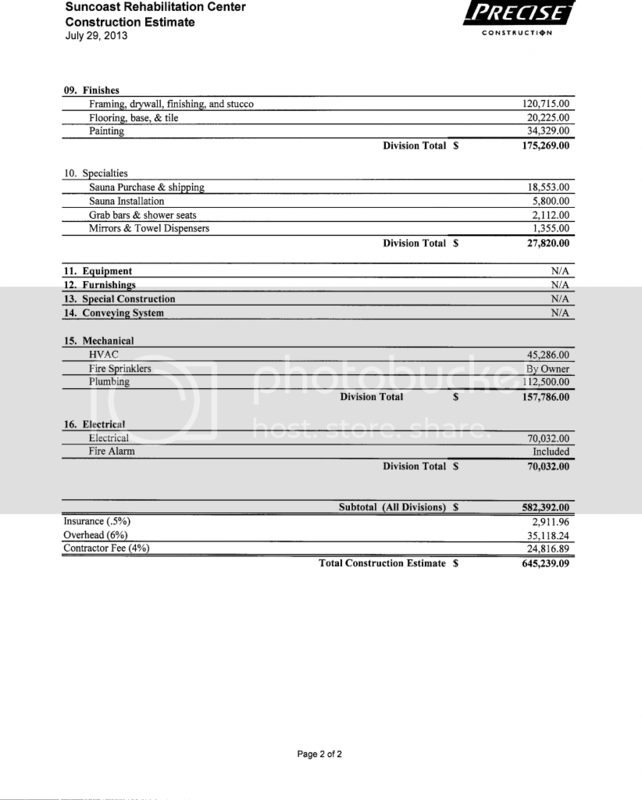 The 2015 Form 990 for Narconon Suncoast is in. 69 clients in 2015, probably at the old Spring Hill location. That's very interesting. Thanks for sharing DeathHamster. Do you know that facility or company? Anything you care to share? We love any information, past or present, even personal experiences or 2nd hand info. From Florida Corporations http://sunbiz.org This company is in Clearwater these days and the program is run by Narconon Lousiana owners/execs Tom & Cathy Steiner. 01/29/2015 -- Name Change from Suncoast Rehabilitation Center,Inc to Narconon Spring Hill, INC.
Another press release with pic of several "area notables' and Novus Medical Detox staff at ribbon-cutting ceremony.